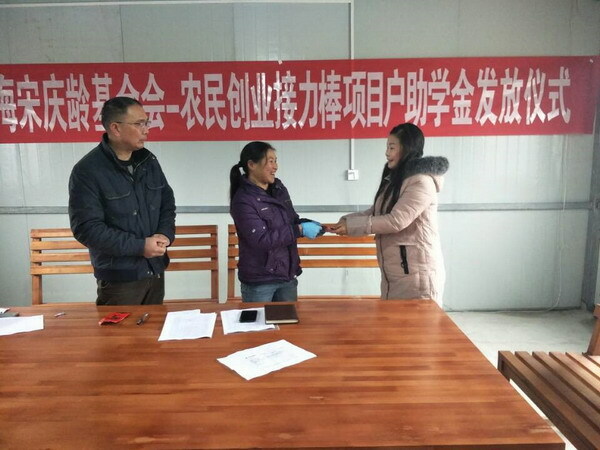 On January 27, 2018, the Shanghai Soong Ching Ling Foundation’s Farmer Entrepreneurship Relay Baton Project issued student subsidies to Chen Zuyin, daughter of project household Cen Hehui at edible fungus base of Xinyuan village in Sandu Shui Autonomous County, Guizhou province. 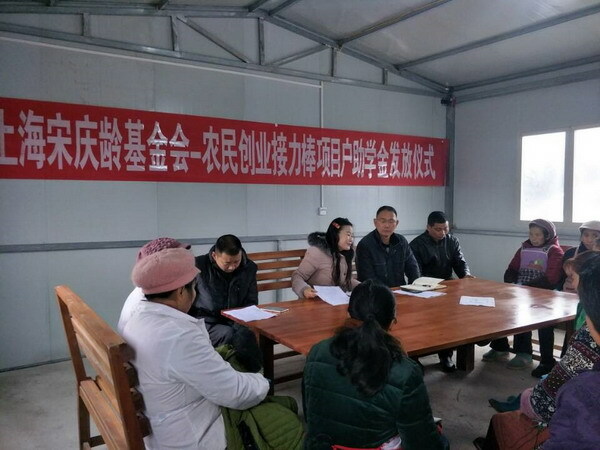 The Women's Federation of Zhouqin township vice director Li Deying attended the activity and Lizhong Edible Fungus Farmers Professional Cooperative director Chen Jinbang handed over the student subsidies to project household Cen Hehui. The edible fungus project was launched at Zhouqin Township in October 2015. The local farmers participating in the project can not only enjoy 50,000 yuan interest-free venture capital fund, but their children admitted to colleges can also receive a certain amount of student subsidies. Chen Zuyin, admitted to Guizhou Institute of Technology in 2016, through the procedures of application, review and approval, she became the second college student in Zhouqin Township to receive the student subsidies from the SSCLF’s Farmer Entrepreneurship Relay Baton Project.